The “snorkeling wander” is a great way to discover the close by underwater fauna and flora with just your fins, mask, and snorkel. 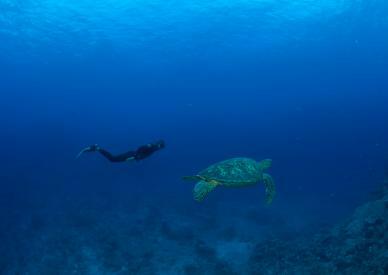 While essentially swimming at the surface you may perform short free-diving explorations, usually within 5 meters. Paired-up with your buddy you may wander in autonomy at your convenience (two persons minimum), or if you prefer choose a guided snorkeling option. 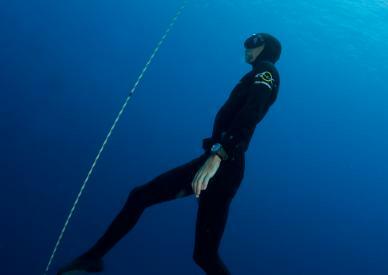 The free-diving is underwater immersion without help of respiratory equipment. He is important to adopt the good attitude, be careful at limits of your body and your mind. The free dive is the ultimate way to make time and of course to pass more time to take advantage of beauty and silence of underwater world. The formation and education are essentials to practise and progress in security. Please contact the service provider for more information.